Paul Seesequasis is a Willow Cree writer and journalist living in Saskatoon, Sask. He is a band member of Beardy’s and Okemasis’ Cree Nation. James Jerome was born on July 31, 1949, in the northern hamlet of Aklavik, N.W.T. He grew up, as generations of Gwich’in children had, in a camp on the land known as Big Rock by the Mackenzie River. His father, Joe Bernard Jerome, was a special constable with the Royal Canadian Mounted Police, a trapper and chief of the Gwichya Gwich’in of Arctic Red River (Tsiigehtchic). His mother was Celina Jerome, née Coyen. The youngest of four brothers and two half-sisters, Jerome was able to spend years with his family, hunting and fishing, before having to attend Grollier Hall residential school in Inuvik, N.W.T. At the age of 12, Jerome received a gift that would change his life — his mother gave him his first camera. Both of Jerome’s parents died before he completed high school. After graduation, he trained as a welder and travelled around Canada before returning to his ancestral home in the Mackenzie Delta. There, his artistic inclinations were rekindled. As he spent time on the delta, his attachment to Gwich’in culture and traditions strengthened, as did his inspiration to record traditional ways that were gradually disappearing under the pressure of southern culture and technology. 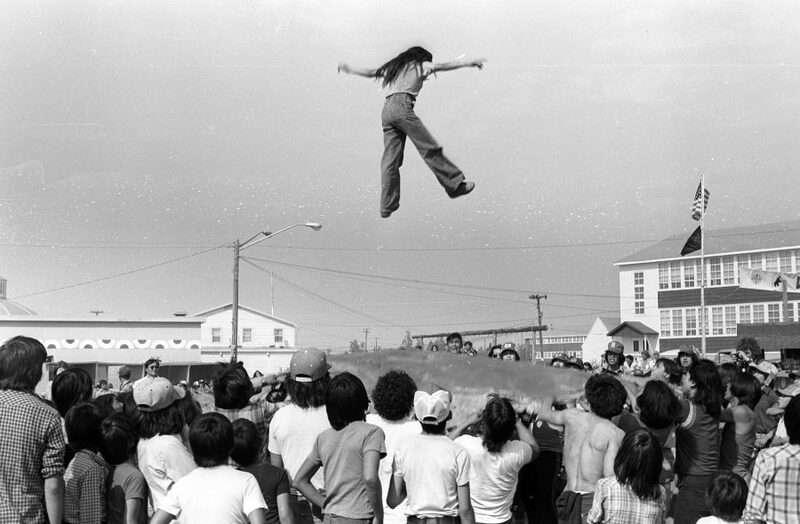 A scene from the 1979 Northern Games in Inuvik, N.W.T., documented by Jerome. Over the next two years, Jerome took thousands of photographs around the Northwest Territories, including in Yellowknife and the South Slave region. Many of his photographs were taken in the Beaufort Delta region, documenting traditional Gwich’in life in the summer and winter camps and trapping and fishing activities along the river. He also travelled throughout the North, documenting large social events such as the Arctic Winter Games and the Northern Games in Inuvik. He produced an impressive portfolio of portraits, self-portraits, and photos of contemporary life in the towns. Jerome developed his photos in the darkrooms of a research centre in Inuvik (now known as the Aurora Research Institute), as well as the Native Press offices in Yellowknife. 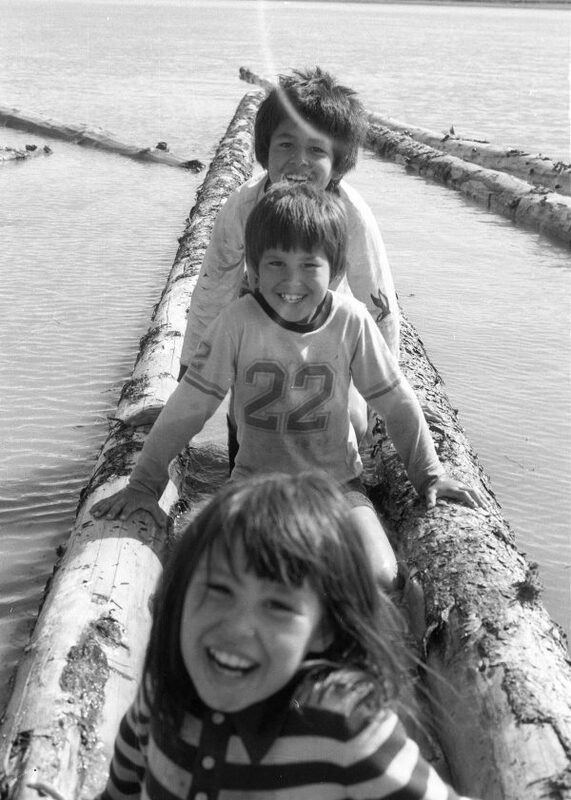 Jerome captures the joy of three siblings playing on driftwood in the Mackenzie River. The career of this groundbreaking Indigenous artist was tragically cut short by a house fire in Inuvik on Nov. 17, 1979. Incredibly, thousands of his negatives were salvaged by his partner, Elisabeth Jansen Hadlari. Jerome’s portfolio, a collection totalling more than 9,000 negatives, was deposited at the Northwest Territories Archives in 1982, in trust for his son Thomas Hadlari. In 1995, Thomas donated the negatives to the archives for the benefit of future generations. These photographs provide an invaluable picture of Gwich’in and Dene life captured during the short period Jerome had to devote to his passion. At the time of his death, it is believed he was focused on finishing a book about Dene Elders of the Mackenzie Valley, titled Portraits and History of the Dene Elders. It is assumed that this work was lost in the fire that claimed his life. Through this work, more than 3,500 of James Jerome’s photographs were catalogued with detailed descriptions and digitized by the NWT Archives, ensuring Jerome’s legacy will last for generations.